Wags knows how to make an entrance! She is a 4-year-old dancer who will shimmy, swirl, and sashay right into your heart. This little American Staffordshire Terrier, with her dark brindle and short chic coat, is graceful as can be leash walking with volunteers and is friendly greeting new faces with her starlet smile. 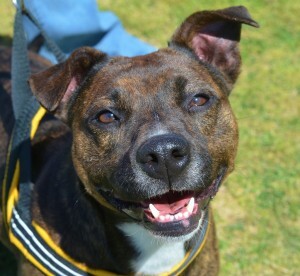 She prefers to have the spotlight and will do best in a home with calmer, low-key dogs. Wags has lived inside before and her house manners are befitting such a prima ballerina. 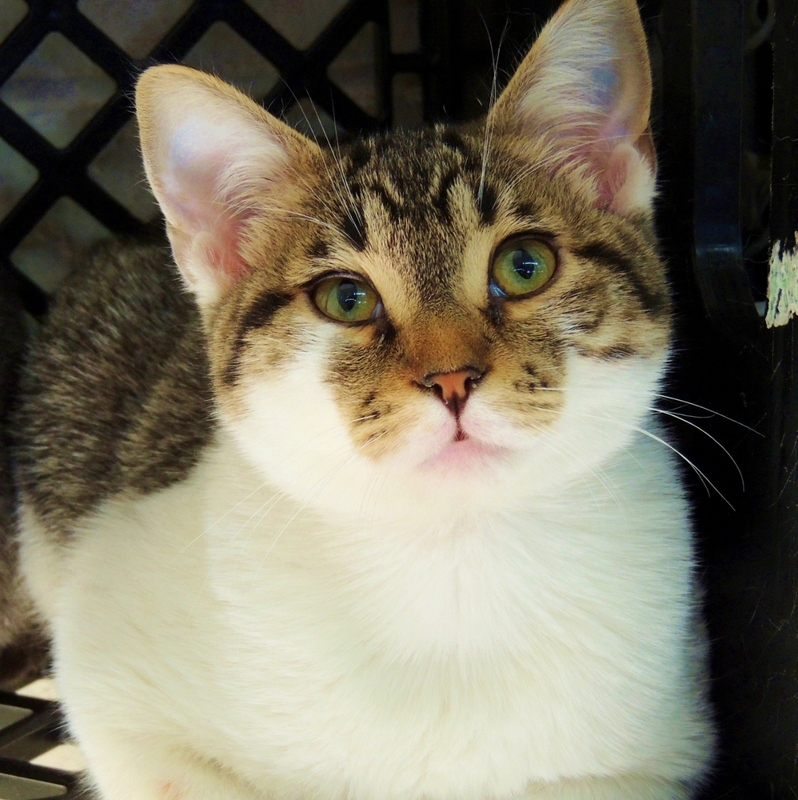 This show-stopping girl is ready to impress and hopes to twirl into the arms or her forever family. Everyone has a “happy place” where the hectic pace and strife of the world melts away, and for Malibu she dreams of a quiet getaway in the comfort of a loving home. 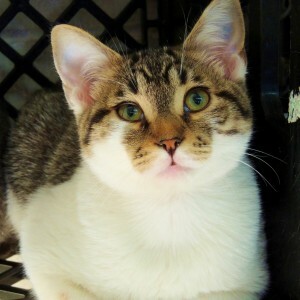 This adorable short-haired feline has a white coat patched with brown tabby stripes. She stays nestled under her security blanket during the busiest parts of the day, peeking out for chin rubs and back scratches. Even though her life has turned upside down, Malibu has remained gentle as an island breeze. She lets people of all ages love on her and is fine with other cats and dogs. Malibu is only one-and-a-half years old and will provide a lifetime of love to her lucky forever family. Visit Malibu and see how your home could become a paradise.